Besides, I have got many emails from people around the world asking me for collaborations or asking for my willingness to accept their guest posts. Everything needs time and I have my full-time job, so BIG apology to whoever that I have not corresponded with. In this article, I want to share with you some of the interesting stuff that I have worked on/ am working on, including some language learning methods. If you find it interesting, I highly suggest you try and share your opinions with me. If you follow Nee's Language Blog Facebook Page, you may have known that I have finally had my first book published! Well, I was actually just a co-author but the excitement could not be described by words when I received the book. If you have not followed Nee's Language Blog Facebook Page yet, follow it right now! 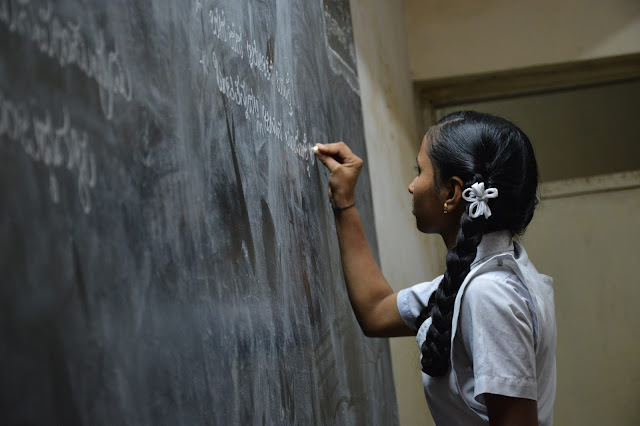 I always post interesting articles about languages and language learning that you certainly do not want to miss. 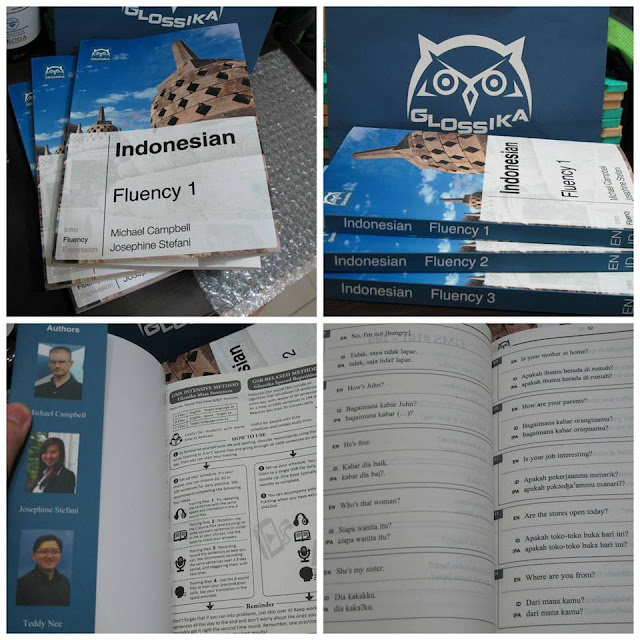 Partnering with Taipei-based Glossika, I had the opportunity to work on a project to make Indonesian language learning book. It comes in three levels: Fluency 1, Fluency 2, and Fluency 3, with Fluency 1 being the easiest, and Fluency 3 being the hardest. Fluency 1 book has mainly short sentences, and Fluency 3 has mainly long sentences. The special feature about Glossika is it teaches you neither grammar nor word list, however, it contains 3000 colloquial phrases that you can use right away in real life. 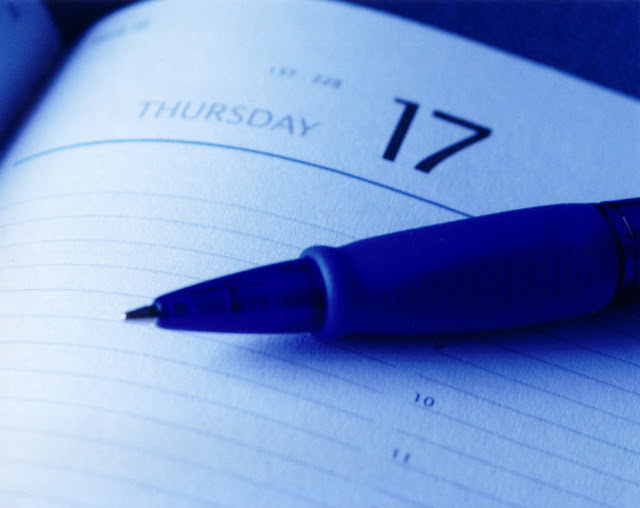 The learning method of Glossika is learning through repetition. This actually matches the natural leaning method that we use in learning our mother tongue language, by listening repetitively. You can visit Glossika Indonesian to read about the introduction. The version that you see in the picture is learning Indonesian from English but you also can pick whichever source language you want to use in your learning. Glossika has another cool feature called Custom Product & Triangulation Builder where you can pick any source languages and target languages. Oh, and Glossika website is available in English, German, Spanish, French, Japanese, and Chinese. Soon after finishing Glossika Indonesian, I continued taking another project that is to become a member of Glossika's writers. Because one of my native languages is Indonesian, so I am in charge of writing language learning articles in Indonesian. If you wonder how Indonesian writing looks like or if you are learning Indonesian and want to practice reading, bookmark my Author's Page. I found a new way to learn languages: blogging. I admit that it is not easy because instead of getting many inputs, such as reading and listening, you need to think about grammar and vocabulary when you write. It is a good practice because, at the end of our learning, we ought to be able to use the language actively, not passively. You will learn about constructing sentences and be accustomed to certain way of expressing yourself or narrating a story. If you are the native speaker of any of these languages or if you know these languages, I really need your help. Please follow and spare a few minutes correcting my mistakes. Just in case if you wonder what is the language used in naming those blogs, it is Esperanto! Watching dramas is also a good way to learn languages although the level of difficulty may vary based on the story of the drama that you watch. 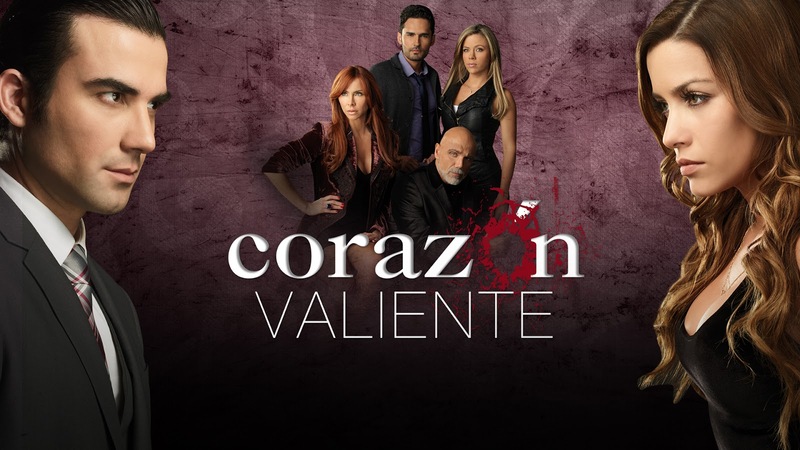 I recently found a Spanish-language drama (or usually called Telenovela) produced by United States-based television network Telemundo Studios, called Corazón Valiente. I have always been interested in Central Asia because it is not widely publicized in the media around East Asia and South East Asia, so it is kinda exotic to me. The only Central Asian friends that I know are those from Tajikistan and Mongolia. They come to Taiwan to study and that's how we met each other. One time as I was searching for some songs on YouTube, I found Zhanar Dugalova, who is a singer from Kazakhstan, and later, I found out that she was the winner of Turkvision 2014. That was also the first time I learned about Turkvision. Prior to that, I knew only Eurovision. Since then, I also became interested in Kazakhstan and Kazakh language. So, I listen to many of the songs almost every day, even while working! I am fascinated by the language. The Kazakh language belongs to Turkic language family, and one online Kazakh acquaintance admitted that she also understands Kyrgyz and Turkish quite well because of the similarities. Apparently, the recommended song playlist that YouTube has shown me does not have only Kazakh songs, but also Kyrgyz and Turkmen songs!